There are some novels that take us on a journey to a place, either real or imagined; others take us into the world of the mind. Every now and then a novelist manages to do both. 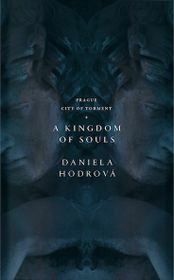 Such is the case with Daniela Hodrová and her novel “Podobojí’ which has just been translated into English for the first time under the title “Kingdom of Souls”. It is also a brilliant book to read if you are visiting Prague, as we recognize a city that is intensely physical but at the same time shifting in time and space, in imagination and memory. David Vaughan finds out more about one of the classics of Czech literature of the last fifty years, now at last available to English-speaking readers. Photo: Jantar Publishing When she wrote “Kingdom of Souls” in 1977, Daniela Hodrová was around thirty. 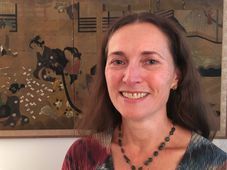 It was her first novel, but, with its references to the recent past and in particular the Soviet-led invasion of 1968, it had no chance of being published. So it was not until 1991 that the novel first appeared in Czech to immediate critical acclaim. It has been followed by several further novels, all of which in some way refer back to this first book. But until recently, none of Hodrová’s work had been translated into English, other than in fragments. 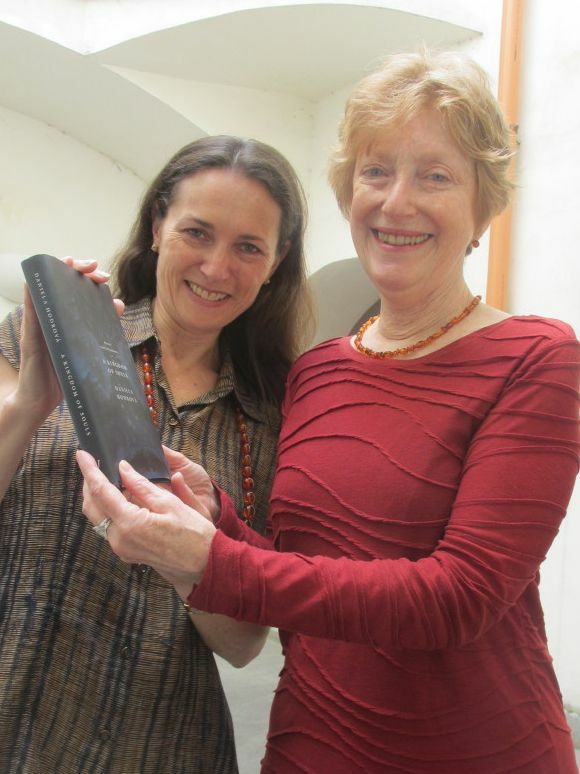 Then Véronique Firkusny and Elena Sokol came onto the scene and, luckily for us, they took on the translation of Hodrová’s rich and complex prose as a labour of love. 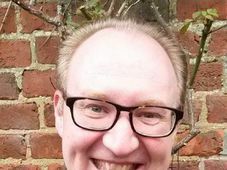 For the two translators this has also been a personal journey, as I found out when I met them at Prague’s Montmartre Café on the day before the book’s launch. And your personal interest in this book has a connection with your family. He was a very famous Czech pianist. Elena, could you introduce yourself as well? 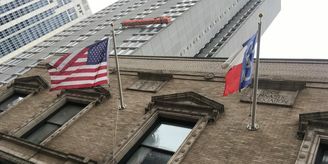 So you were very much part of the Czech émigré community in Chicago. And what about your journey to this book? Tell us something about Daniela Hodrová as a writer. So that means that even most Czech readers didn’t encounter this book until after the fall of communism. And the book is called “A Kingdom of Souls” in English translation. The Czech original is “Podobojí”, which could be translated literally as “Utraquist” – a liturgical term meaning “Communion in both kinds”. How do go about translating a title like that, which goes back to the times of the Hussites in the 15th century and to the disputes within the Catholic Church about reform of liturgical practice. And so what, in essence – and with Daniela Hodrová it is difficult to give a simple answer – is the book about? Alice Davidovič would never have thought the window of her childhood room hung so low over the Olšany Cemetery that a body could travel the distance in less than two seconds. A sound in the pantry, as if someone was softly moaning. Alice enters and sees her grandmother at the table, tears streaming down her cheeks. The table is spread with the Sabbath tablecloth. It occurs to Alice that maybe one day someone will have a dress made of it, a Sabbath dress. – Grandmother, why are you crying? asks Alice, and Grandmother Davidovič points to the corner. Can’t you see, Grandfather is peeling onions. – But Grandfather is… – Shhh, Grandmother Davidovič puts a finger to her lips. 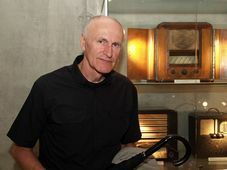 Grandfather Davidovič, peeling onions in the corner, as if having heard Alice’s objection in full, gives a wry laugh. Alice realizes her mistake, although until the moment she entered the pantry, she knew for certain that Grandfather had died three months ago, she could distinctly remember the day he returned from Mrs Soška’s, where he’d been staying for many years. Grandfather had come back to the pantry to die, his whole body mangled by the Germans who had racked him and broken him on the wheel at Hagibor. In a sense that extract gives us a taste of the whole book – this sense of shifting between the real and the imagined, the living and the dead. Could you say a bit more about how that language is echoed throughout the book? She grew up in a flat in which a Jewish family had lived before the war, and when they were summoned to join one of the transports to the Terezín Ghetto, the daughter of the family jumped out of the window and committed suicide. That sense of the past, both the traumatic and the mythical and magical past, being still present today comes up again and again throughout the book. 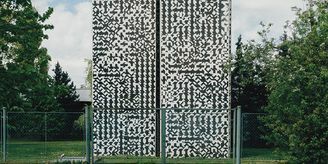 Vinohrady, Prague, photo: Kristýna Maková Could you add something about what it’s like to translate this kind of prose, because it’s full of references that people who aren’t familiar with the Czech or Prague context might not pick up? 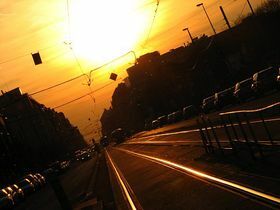 ES: “And yet the part of the city, Vinohrady and Žižkov, in which the novel is set is that part of the city where Daniela has lived all her life. So it’s a very intimate association between her life and the cultural and historical aspects of the city in a larger sense. VF: I’ve only now been discovering that particular part of the city and I’ve realized that having read this book opens windows onto so many aspects of the history of that area; I feel that I see every block that I walk on in a completely different way, thanks to having read this novel and spent so much time with it, which is, I hope, what readers will also find. It’s a novel in and of itself, but it’s also an incredible novel to read if you are coming to Prague, because it just enriches the experience of the city so profoundly. I am the pantry, the chamber of resurrection. My one window – my one little window – is blind and doesn’t open onto this world. When it’s ajar, centuries-old dust falls in, dust from the dreams and lives of others, it covers the cracked paint of the table upon which Grandmother Davidovič rested her head. And after her the maid Cyrila rested her head upon that table, and after her the hunchbacked maid Anežka, and after her the maid Mařenka from the village of Karhule near Blaník Mountain… Suffer little children to come unto me. 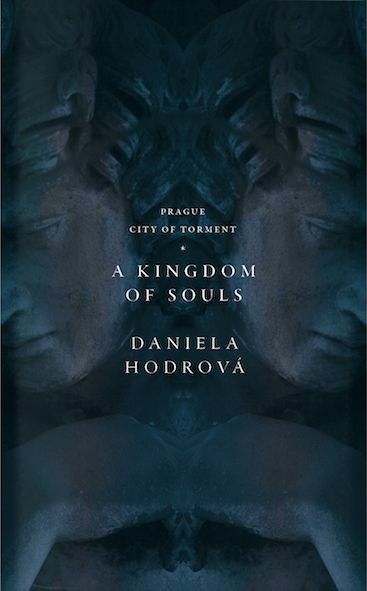 Daniela Hodrová’s novel, “Kingdom of Souls” has been published by Jantar Publishing in a beautiful and elegant edition that also includes a rather atmospheric black-and-white map of Prague on the inside of the front and back covers. It is much to be recommended.